As more states within the U.S. legalize marijuana and more and more patients are being prescribed medical marijuana for various health issues, the demand for edibles are on the rise. Whether it’s to avoid the stigma of labels or just a preference in how to ingest your cannabis, edibles are gaining more and more popularity in the cannabis community, for personal and medicinal use. One of the edibles gaining more popularity is magic butter. Magic butter is regular, unsalted butter infused with herbal botanicals. It has gained its popularity because you can put it in and on everything. Consumers of magic butter have been making it for years with double broilers and using other complex cooking methods. Another reason magic butter has become increasingly popular in the edibles world is that it is super easy to make. With the release of the new kitchen appliance Magical butter, cooking and baking with magic butter has never been easier. So Then What is Magical Butter 2? The Magical Butter appliance is a kitchen must have allowing marijuana users (recreational and medicinal) as well as foodies to infuse their favorite herbs and botanicals into their favorite butters, soups, lotions, oils, tinctures, salad dressings, etc. Acting much like a slow cooker and blender all in one, the Magical Butter is much easier to use, allowing herb infused butter to be made in two simple steps. First, place all the ingredients into the appliance. Second, press a button. Within a few hours, voila! Your herb infused butter or oil is ready! It’s that simple. It’s automated temperature and blending speed makes it fool proof for any person to make the perfect herb/botanical infused edibles. For an example, making soups, beverages and tinctures are easy with a simple no heat setting while a temperature setting of up to 130 degrees can be used for high altitude climates so they, too can get the most from their extraction. What Is Magic Butter Used For? Besides its ease of use and its ability to make the perfect herb enhanced butter (among other things), it reduces much of the hassle or stigma associated with marijuana smoking. Veteran smokers might be sick or rolling joints and smelling like marijuana. 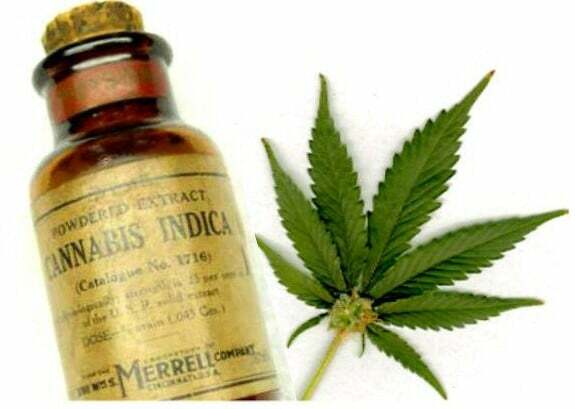 Medicinal marijuana patients usually want the easiest way to ingest their medicinal without the stigma of being a ‘toker.’ Many patients do not want the stench of a joint or some may not be able to smoke, due to other reasons like asthma or other pulmonary issues. Sometimes, both recreational and medicinal users just want to mix things up with edibles. 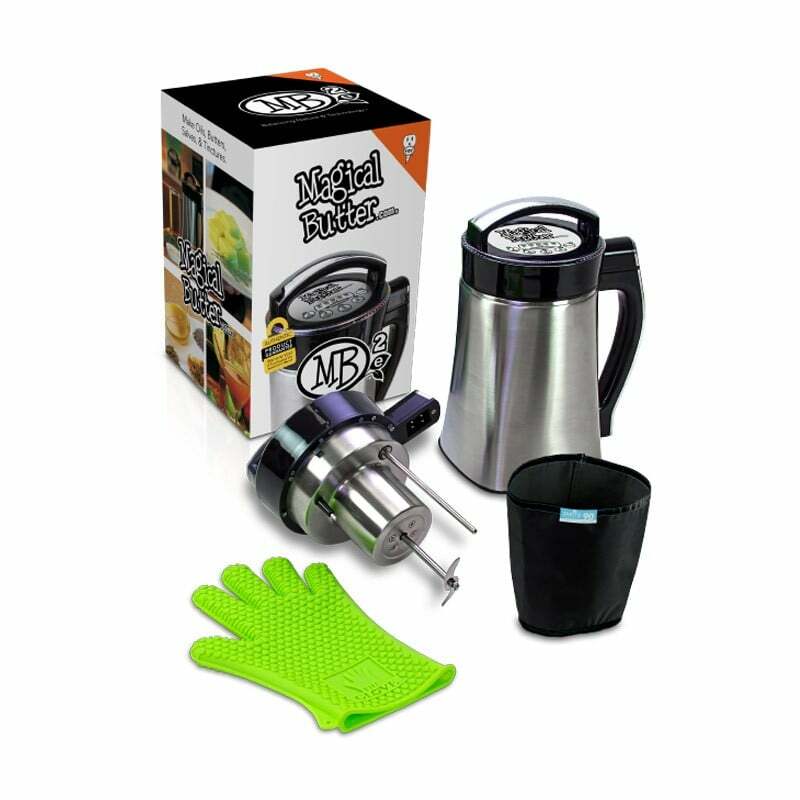 The Magical Butter machine provides cannabis enthusiasts and medicinal users to enhance their usage in the easiest way possible. Plus, it can make awesome body butters, soups, tinctures, etc. What one, single machine can perform as much? To add and improve upon the original, the Magical Butter 2 was recently released. To boot, there customer service and warranty are top notch. THIS MACHINE ROCKS/WARRANTY IS FOR REAL! “THIS IS A TERRIFIC MACHINE, possibly the greatest thing since sliced bread and/or chili dogs. My original machine broke at one year. The warranty had just expired. The problem was not big; the handle separated from the body of the machine at the top of the body. I could have slapped a spread of JB WELD in there, put a bungee cord around it for 24 hours and it would have been fixed old school, but I contacted the company, and THEY STOOD UP AND TOLD ME TO SHIP IT BACK. They sent me a NEW MACHINE, and even included their superb new FILTER BAG and the BIG GREEN GLOVE. MAGICAL BUTTER 2… one of the best purchases I’ve made in a long time! “I read a lot of reviews on the Magical Butter 2 on several different forums before making my purchase here on Amazon. This has to be one of the best purchases I’ve made in quite awhile . The Magical Butter 2 takes the tedious work out of making herbal butter, oil, and tinctures. No more standing over a crock-pot stirring, stirring, and more stirring for hours. With the Magical Butter 2, you just throw in all your ingredients, put the lid on and select which end-product you’d like. Walk away and come back in 1, 2, or 4 hours depending on what option you have chosen. The Magical Butter 2, heats grinds, and mixes the ingredients throughout the process so you don’t have to. It even has a “self cleaning” option. When your are done making products, just fill to the designated line with hot / warm water and add a couple drops of liquid soap, hit the “clean” button, and after a few minutes it has completed the cleaning cycle. Wipe dry and you’re done. “I love the Magic Butter Machine. It works perfectly every time I use it. I have infused Coconut Oil and made Butter and was very happy with the results. When you strain the oil/butter, I recommend using good quality cheesecloth and RSVP Endurance Conical Strainer, 5″Sold by River Road here on Amazon. I pour into the strainer and let it drip/flow into the cheesecloth. This strains the herb out and makes very clear oil/butter. When I had a question, I called the Magical Butter phone# on their web site and they had excellent customer service.